I get frustrated when I hear someone put their knee issues down to getting older, or any musculoskeletal issue for that matter. Even more frustrating is that there seems to be an acceptance, an inevitability, that nothing can be done about it. You can’t fail to have noticed the sensationalist headline “sitting is the new smoking”. You know the one, designed to put the fear of God into us and make us feel even worse about the fact that we are not moving enough. It’s true, of course, we are not moving enough but many of us who are desk bound simply don’t know where to start. In this video, I give you a simple postural adjustment to bring more to your sitting time. The first step is to sit on the front of your chair, not into the back of it. As I said in the video, it’s not sitting that’s the issue, it’s the time spent in a single position that’s problematic for us. There is no one best way to sit but sitting in such a way that your body has to do more work is going to be more beneficial to you. Get comfortable being on your sitting bones supporting your own bodyweight. You will no doubt feel yourself slump back into your chair because it’s what your body knows and has adapted to but you’re going to retrain yourself to do some work while just sitting there! It will be impossible to sit better if you are in a bucket style seat, in other words, where the back of the chair is lower than the front. Find a chair that has a seat parallel to the ground. It takes an inordinate amount of mindfulness to get movement back into our lives these days but walking is one of the easiest and best ways to do it. The benefits of walking are many and well documented. The notion of 10,000 steps a day has crept in as a daily movement prescription and I love the way that various devices like Fitbit can motivate someone to get up every hour to hit their number but we can do better than 10,000 steps! May is one of my favourite months. Spring turned into summer over the bank holiday weekend and it's been great to shed the layers, free our feet, get outside and soak up some vitamin D.
Movement as opposed to exercise is something I write about a lot. Exercise alone doesn't seem to make us healthier and use it or lose it remains true. With that in mind, I strive to find ways to make any activity, whether that be working at my laptop or a household chore more movement rich. Belated Happy New Year! I hope that you are settling into 2018 and the dark January days are not getting you down too much. Over the last couple of weeks, I’ve been reflecting on 2017 rather than setting any New Year’s resolutions. It's been a worthwhile experience looking back at what I have achieved, focusing on the positives rather than what I didn’t do or didn’t get done. Try it, I’ll bet you’ve had a much better year than perhaps you thought! 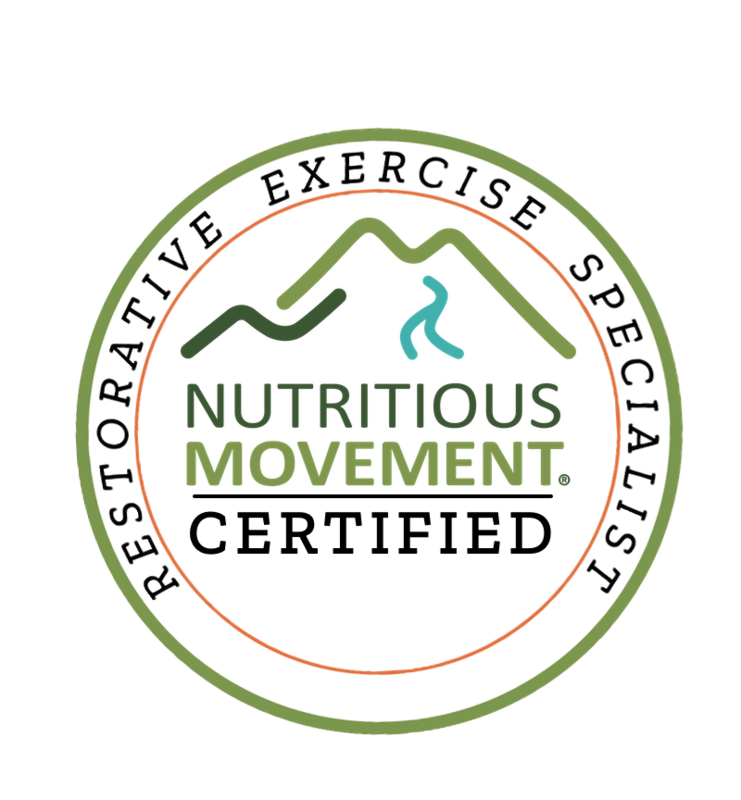 You may have heard the term a movement practise but wondered what it means. Many years ago I was introduced to the idea of a mindful movement practise through Chi Running. The value of a practise became clear to me as I learnt to truly enjoy running and eventually run injury free over time by paying close attention to how I moved. This was the beginning of getting to know my body better and learning how to move well in all sorts of ways. For many years I have been a distance runner, I loved it. I worked on my form every day, running defined me. I would often be greeted by a stranger when I was out and about “Not running today?” Although it came to be something I loved to do, I also assumed that an added bonus was that it was good for my health, that I was fit. Most people who know me think of me as fit and therefore healthy. As much as I would like to spend more time outdoors in nature, stuff needs to get done, the house needs cleaning from time to time, etc. In an effort to get more natural movement, I find myself looking at the household chores differently. Once something I did not look forward to, I now see housework as one way to get the thing I crave more and more - varied movement throughout the day. I am one of those annoying people who takes up too much space in a restaurant or café and will have you tripping over the legs of my chair! Why, you ask? Most chairs are designed to make it impossible for you to sit well and have a bucket type seat. This means we have no option but to sit with our pelvis tucked under which can have negative health consequences particularly if we inhabit this position for many hours each day. So, if I find myself in a chair, I sit right out on the edge of it which allows me to sit with a neutral pelvis, gets me off my tailbone and puts me in a much better position to support my bodyweight.